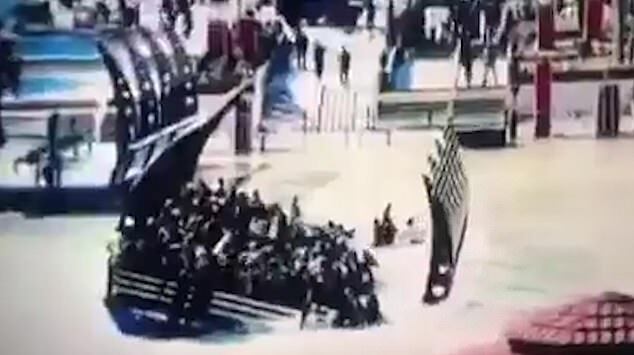 Distressing footage has emerged showing the moment a ferry with a 'technical problem' capsized in the Tigris River near the northern city of Mosul, killing 94 people. 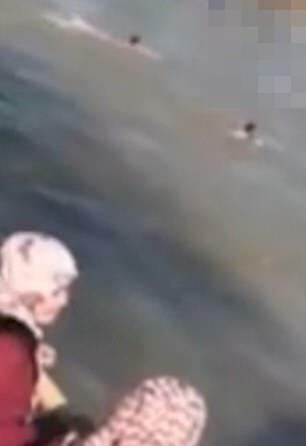 The ferry capsized on Thursday with scores of people on board, including dozens of families with children. 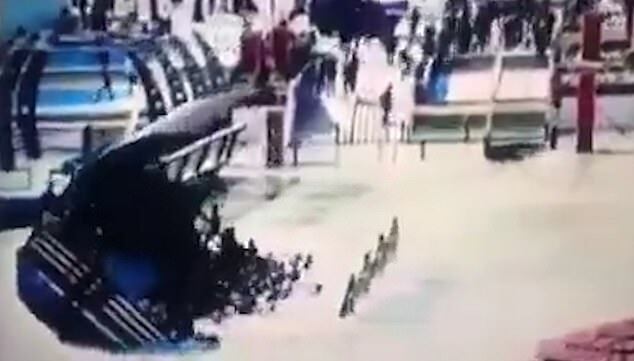 The short clip shows water flooding over the barriers of the packed vessel, which eventually overturns as the passengers scramble to get across to the other side. Iraq's President Barham Saleh has rushed to meeting with accident officials, while search teams continue their efforts to find more bodies. The ferry was full of holidaymakers celebrating Mother's Day, as well as Nowruz, the Persian New Year, which also fell on March 21 this year. Prime Minister Adel Abdul-Mahdi has ordered an investigation into the sinking and thus briefly visited Mosul, where he named three days of national mourning. Meanwhile the country's judicial authorities have ordered the arrest of nine workers operating the ferry. The men were detained and arrested warranted by the owner of the tourist island where it was headed. 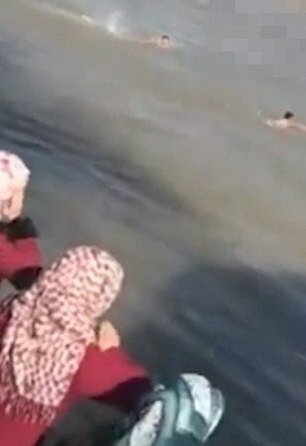 Col. Hussam Khalil, head of civil defense in the northern Nineveh province, said the ferry sank because of a technical problem and that there were not many boats in the area to rescue drowning passengers. The Tigris river's level was higher than usual after a rainy season that brought more downpours than previous years . Interior Ministry spokesman May. Gen. Saad Maan placed the death toll from the accident at 94, adding that having been rescued, including 19 children. Earlier, a health ministry official said the dead included at least 33 women, 12 children and 10 men. 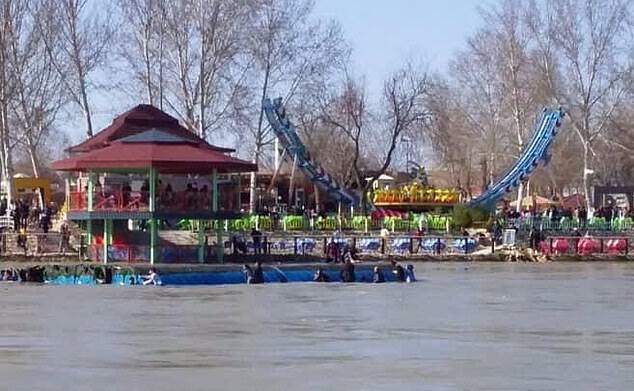 The sinking appeared against a backdrop of fairground rides including a ferris wheel and small roller coaster as revellers celebrated the ancient Persian festival of Nowruz. Also known as the Persian new year, Nowruz marks the arrival of spring. The holiday dates back to at least 1700 BC and incorporate ancient Zoroastrian traditions.